GamesClicker Blue Bird Cage Escape is another point and click escape game developed by GamesClicker team. Imagine, one blue bird was trapped in cage. 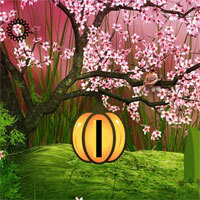 First you can find some hidden object and solve some puzzles to rescue the blue bird. Finally you can find out the key to rescue the blue bird. Are you ready to play this interesting blue bird cage escape game?. Good luck and have fun!! !